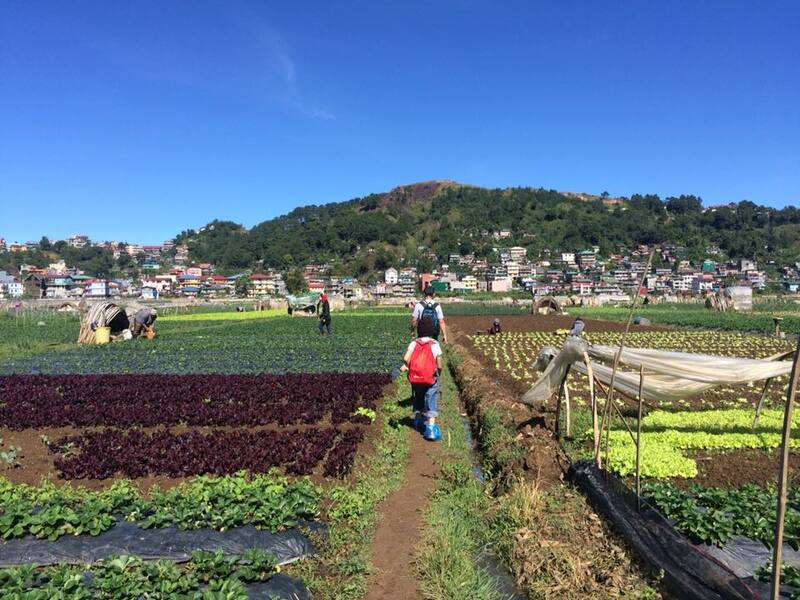 The place I was most excited to take the kids to was the Strawberry Farm in La Trinidad. 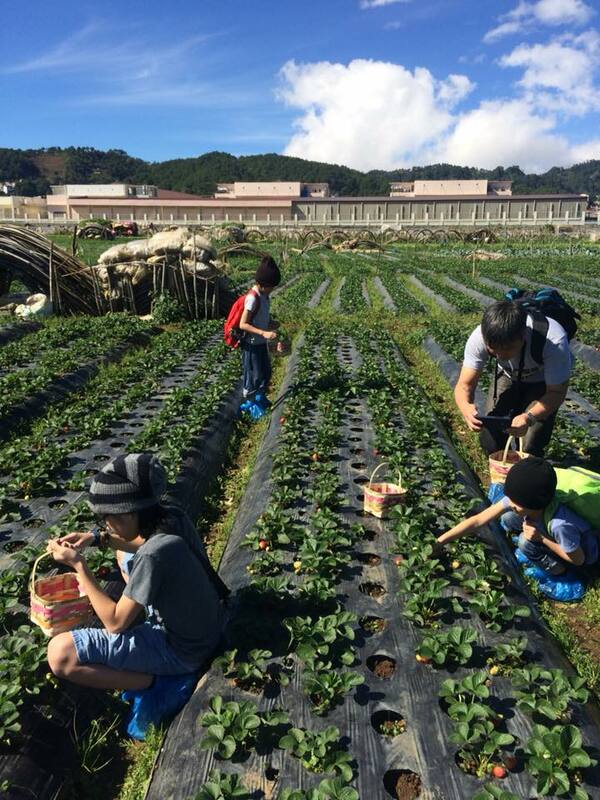 I’ve always wanted them to experience strawberry picking and to walk the fields and see what it’s like to be there. I read Joy Mendoza’s post, City Kids on Strawberry Farm , in 2013 and I’ve been praying for this to happen for my kids too since then. I read somewhere that November to January is harvest time for the strawberries, so I knew right away that we had to go. 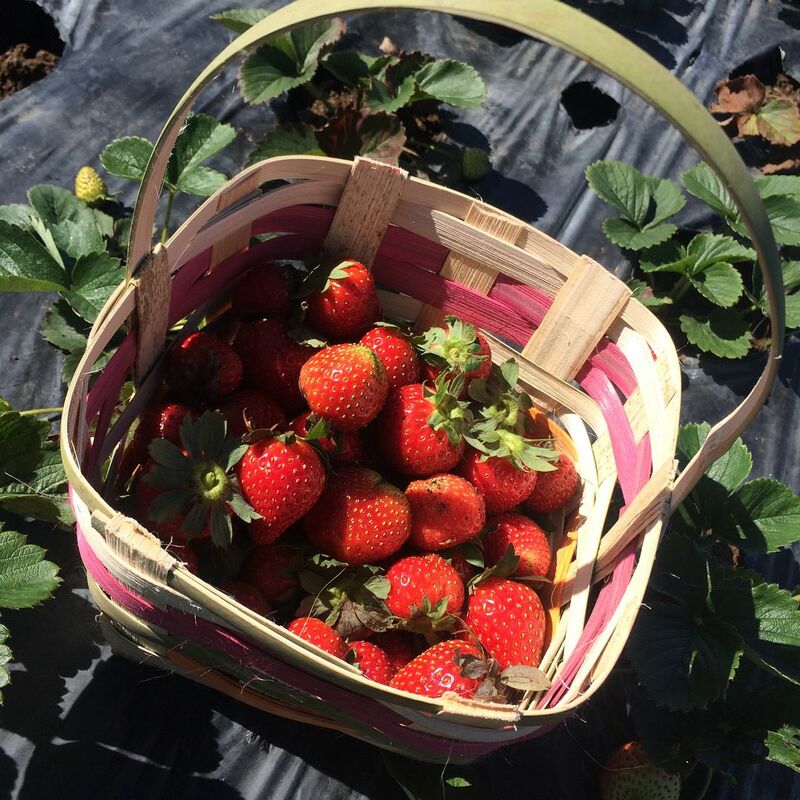 Although later on, I was told by a local that it’s only the beginning season of the harvest and that February is really the best time to come because that’s when the strawberries are ripe for picking. There are two entrances to the fields. If you’re there to take photos only, the first entrance is fine. 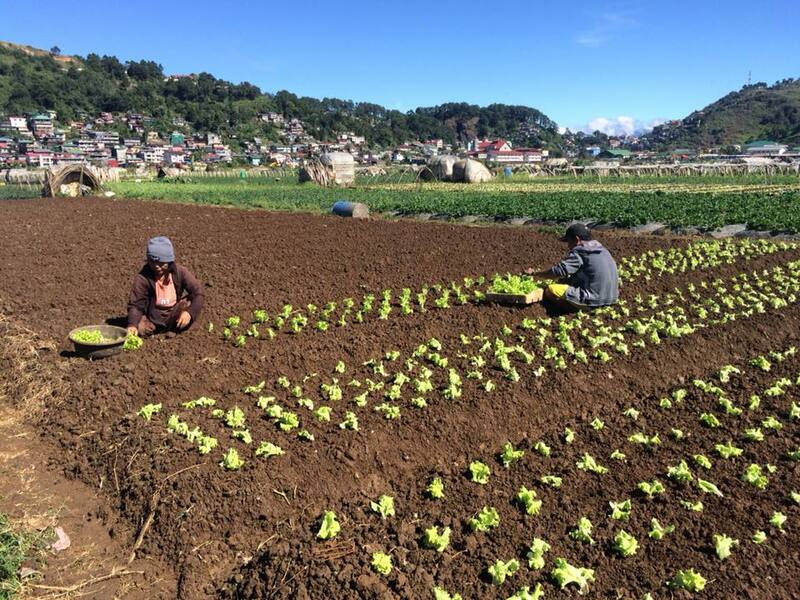 You get to walk through the lettuce patches and have your picture taken with the majestic mountains behind you. But if you want to pick strawberries, you need to walk to the end of the road and ask one of the farmers to help you out. We made the mistake of going the first entrance but we were met by Michelle, a La Presa local, who guided us to their part of the fields where the kids can pick strawberries. The rate is Php 500 per kilo of strawberries you put in your baskets. We had plans to go to Tam-Awan Village and Ben Cab Museum afterwards so we told the kids to only pick a kilo or less because it would be difficult to bring too many strawberries to our next stops. We were all wearing sneakers and didn’t want to muddy our shoes, so we just paid for plastic bags to be wrapped on them before going to the designated area for strawberry picking. Each kid was given a basket. Michelle demonstrated to me and Jay how to pull the fruit off its stem, and we, in turn, taught the kids the same. Judah took a while to learn how to pull the strawberries off the stalks, but he enjoyed himself a lot. 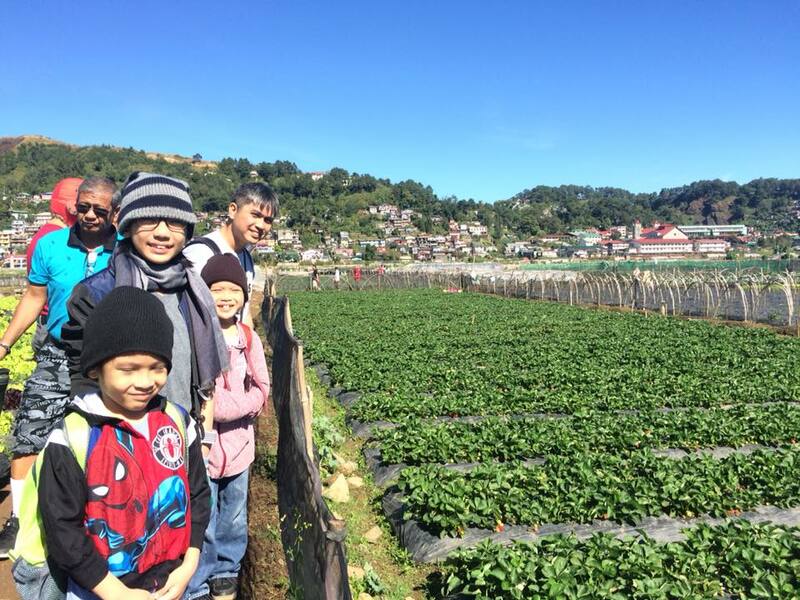 In fact, when Lukas said that his favorite moment in our Baguio trip was Strawberry farm, Judah agreed, smiling from ear to ear. Lukas wanted to try planting lettuce but we were told that they don’t really let guests do that yet. What I love about this stop is that the kids got to see real farmers at work. They squished on mud with their shoes, felt the cool breeze blow and the sun warming their faces. There is something about experience, even if only for a short time, that teaches kids about a place, its people and their culture. We would have loved to take them to La Presa, but according to the locals, there have been problems with the taxes and the tourists, it’s been closed to guests for sometime now. One of the things we teach our kids is to respect people of all livelihood. In fact, I don’t mind if any of my children decide to buy a land and become a farmer someday. Why not, right? I want my children to see that life offers so many options. You don’t have to be just like everybody else. And that all jobs, whether blue-collared or manual, add value to our society and to the economy as a whole. You just need to open your mind to all the possibilities. They’re limitless! Right outside the farm are several stalls that sell strawberry-based products. From the delicious Strawberry wine, jams, Strawberry-flavored taho, Strawberry Ice Cream and Strawberry fruits. I tried the Strawberry wine and I loved it. How I wish we could bring some with us, but it’s really challenging for us to add to our luggage because we still have two small kids to guide around. Anyway, how to get there? We took the cab to Strawberry Farm from Villamor street, where Albergo hotel was. I think we only paid Php 160. You can also find taxis to take you to your next destination from there, although it might be more convenient to ask the driver to wait for you for an agreed fee. 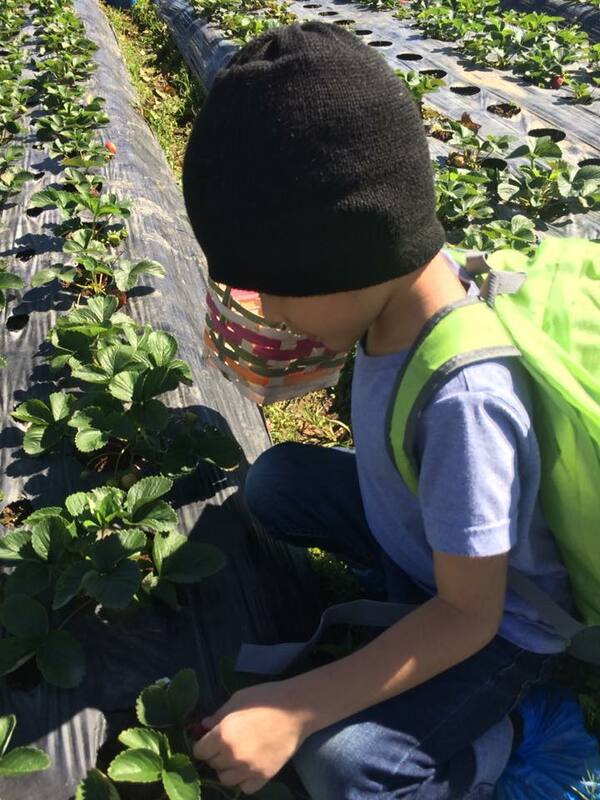 Strawberry Farm is open to tourists from 8 AM to 8 PM. If you would like to call and arrange a visit, you may contact 0955 396 5499. Or you may just drop in. We live near Bureau of Plant Industries and growing up, we used to go there and try to pick strawberries when the farmers weren’t looking. Lol! Apart from taxis, there are two jeepney terminals within town that will take you to La Trinidad – one is in front of Baguio City Hall near Burnham Park, the other one is on the other side, along Magsaysay Avenue. Strawberry Farm is at Km. 6. ? I think that’s the one we rode, the one going back to Burnham. We almost took the jeep to Longlong, hahaha! This is fun! I’d love to go too! But, still remains a dream for the longest time. I’m happy to see your photos May. The kids did have a lot of fun based on your photos. Did you try the strawberry wine? Haha yes! Sadly di ako nakabili, baka kasi mabasag. The two kiddos don’t want to sit with Jay, and gabi rin kasi kami bumabiyahe. So baka mabasag. You can’t put it in your luggage kasi. Mag eenjoy kayo ng sobra sobra dun, Jerz. Dun kayo sa area namin ng hotel magbook para masarap maglakad at mejo malayo sa usok. 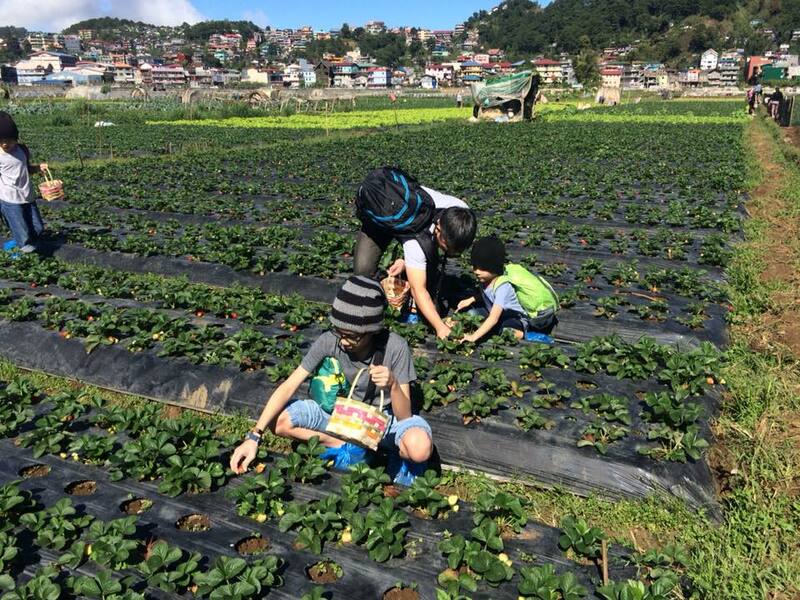 We usually miss strawberry picking in our Baguio itinerary since we often visit on off strawberry picking season. We will be coming back in Feb though and it would definitely be in our to do list. I always love this stop. 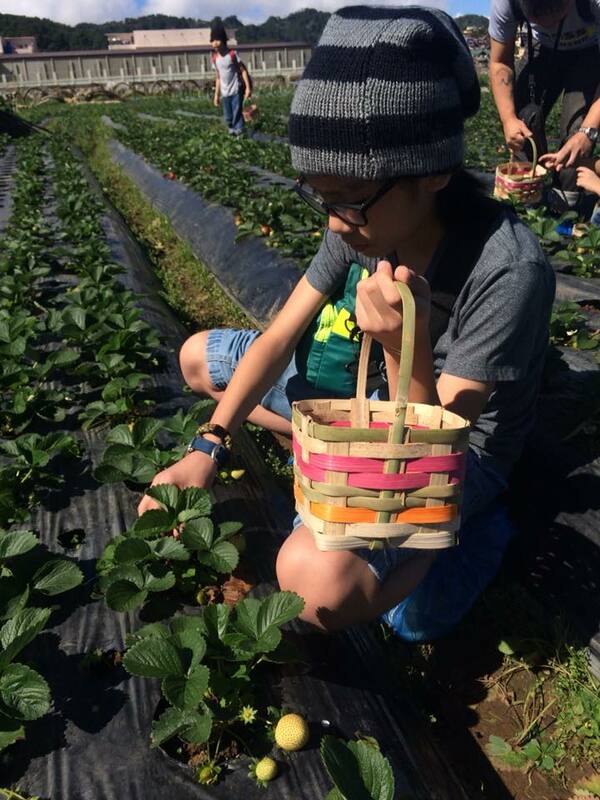 We took Gab last Feb.
Lucky you that you were able to experience strawberry picking last December. I’ve been to Baguio for the nth time already and I’ve never tried this strawberry picking, lagi wala ihaharvest. November, December, March and April kami nagpunta sa Baguio. I’ll take note of the February month. We did this when Zoe and Ziya were around 4 and 3 years old. Would love to go back and let the boys experience it as well. I’m sure they’d love it too. I haven’t tasted strawberry wine yet. Would love to have some. I LOVE strawberries! Yay! 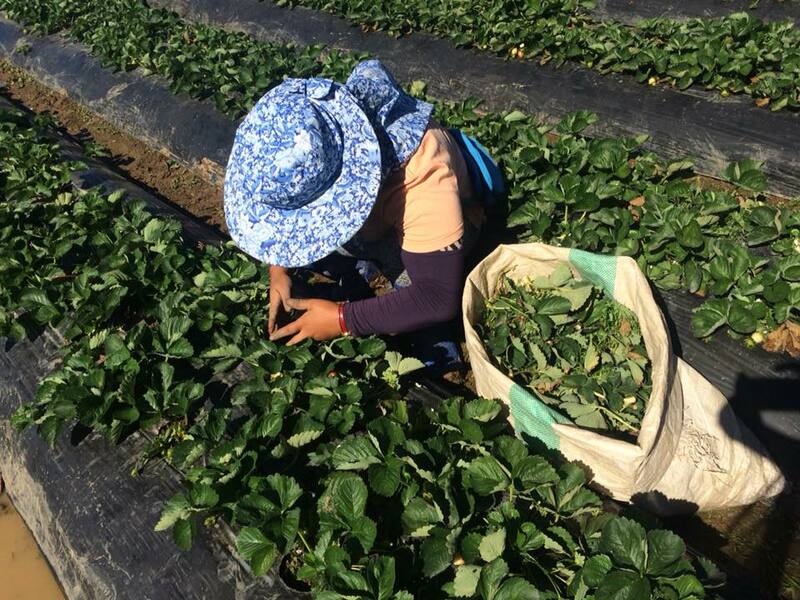 My husband and I went here before we got married and I really enjoyed the strawberry picking in La Trinidad. Nakakatuwa pumitas, bucket list has been ticked! 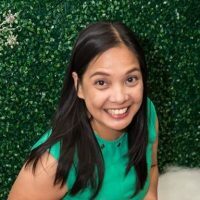 Hindi rin kami nakapunta sa La Presa, medyo malayo that time at mahal na daw maningin ang mga locals because of #LizQuin teleserye. They closed La Presa to tourists na. May issues daw with permits. Huhuhu! Mukhang di kami tuloy sa Baguio this January. 🙁 Am so sad! Awww why? Di bale, besh, mangyayari yan. Kami nga 12 years in the making ang bakasyon haha! We are excited for the kids to do this! My in-laws even got them boots. Haha! What time did you go there? Mukhang mataas na araw. I’ve only experienced early morning in my previous trips.